Must Visit Tourist Places in Old Delhi including of Red Fort, Jama Masjid , Chandni Chowk , Swaminarayan Akshardham , Humayun’s Tomb , Lodhi Gardens , Qutab Minar and much more. There are many old Delhi, but of all of them, the name refers particularly to the walled city of Shah Jahan, Ruler of the World. The fifth great Mughal emperor was a lover of beautiful architecture. When the construction of the Taj Mahal was underway he turned his attention to the traditional Mughal capital and graced it with a grand new city (Shahjahanabad) and, in 1648, with his royal Peacock Throne. Today almost nothing remains of the city walls and only four of its 14 gates survive – Kashmiri Gate, the northern entrance to the walled city, and Delhi Gate to the south, followed by Turkman and Ajmeri Gates to the west. 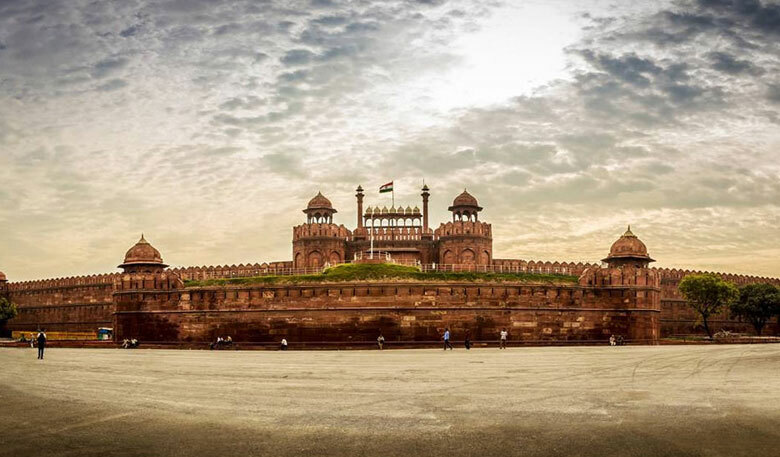 The Red Fort, from where the emperor governed Hindustan, is still the architectural highlight of the walled city, together with the biggest mosque in India – Jama Masjid (Friday Mosque) – also built by Shah Jahan. Pockets of the past glory of Shahjahanabad can be spotted here and there among the colourful decay and chaotic but good-natures human and motor traffic of the main thoroughfare Chandni Chowk (Moonlight Square). Patience and a spirit of adventure are needed to enjoy this most fascinating and enduring part of tourist places in old Delhi. The hard bargaining at sprawling spice and jewellery markets, the leisurely savoring of Mughal meat dishes at Karim’s restaurant, the seem-singly unchanged medieval back streets of Chandni Chowk where goats and children play in the gutters, the stately, beautifully painted havelis tucked away behind arches – all this makes for an unforgettable old Delhi tourist places experience of the immortal capital. The highlight of must visit tourist places in Old Delhi, Known as Lal Qila (Red fort) and twice the size of the Agra fort, this mighty palace was Shah Jahan’s dream of building ‘delightful edifices through which streams of water should flow and the terraces of which should overlook the river’. Though badly damaged in the numerous sackings of Delhi, especially by the British in 1858 when the last emperor was deposed, the fort retains some of its beauty and grandeur. The entrance is through Lahori Gate outside which a congregation of rickshaws and vendors accost potential customers. You may be offered the services of a guide. It is better to look for one inside the walls if you don’t already have one. Alternatively you may prefer to enjoy this sight at your own leisure. Inside the walls, you will stroll along Chatta Chowk, a bazaar lane that used to service the courtiers with silver, jewels and brocades, and which today offers little more than predictable souvenirs —with the occasional gem. At the beginning of the lane, on the left-hand side and up a staircase, there is a jewellery shop selling interesting if some-what overpriced silver. The official gateway is Naqqar-Khana (drum house) where thunderous music was played to announce the arrival of the emperor. Through the gateway is the red sandstone Hall of Public Audience, Diwan-i-Am, where the emperor sat on a raised marble throne to receive his visitors, high and low, and discuss public matters. Executioners stood by, ready to carry out the emperor’s sentences. The audience ended with a review of the royal elephants and horses. The pavilion is decorated with pietra dura carvings of flowers, birds and a surprising scene of Orpheus with a lute, designed by a Frenchman. The private palaces are beyond the Diwan-i-Am, parallel to the now retreating river. To the far left lie two marble pavilions, the only remains of what used to be the regal, lamp-lit, richly decorated gardens of Hayat Baksh Bagh giving gardens). The first significant building to the east is the ethereal Moti Masjid or Pearl Mosque, built by Shah Jhan’s pious son and usurper of power Aurangzeb for his private prayers one of the most important tourist places in old delhi. Behind the mosque are the lavishly carved and miraculously preserved marble royal baths or hummam. The next building along the marble pavilion of Diwan-i-Khas, or Hall of Private Audience, is the political heart of the complex and aesthetically the most beautiful construction. In the centre of the bejewelled and decorated pavilion stands the Peacock Throne, pride of the emperor, entirely made of gold and inlaid with a wealth of precious stones. It was taken as loot by the Persian Nadir Shah in his bloody sacking of the capital in the 18th century. At this throne, the emperor received important visitors and reflected on matters of state. One of the arches bears an inscription composed by the famous poet Amir Khusrau: ‘If on earth there be a place of bliss, it is this, it is this, it is this’. The Khas Mahal was the emperor’s private quarters, with separate apartments for prayer, eating and sleeping. He made public appearances twice a day on his octagonal balcony before a gathering of citizens down on the banks of the river. One of the rooms has an exquisite jaali (marble screen) representing the scales of justice. Conveniently close-by is the Rang Mahal or Painted Palace which housed the royal harem. The emperor would retire here for his lunch to discuss housekeeping matters with his favorite daughter Jahanara., first lady since the death of his wife Mumtaz Mahal. The Palace had a sliver ceiling which has since been defaced. and a lotus-shared -marble pool with a silver fountain. The last palace, Mumtaz Mahal is obscure in origin – though it most likely housed some of the harem – and now contains the palace museum It is worth a quick look. The last of Shah Jahan’s great projects was completed two years before he lost his throne to his son Aurangzeb. 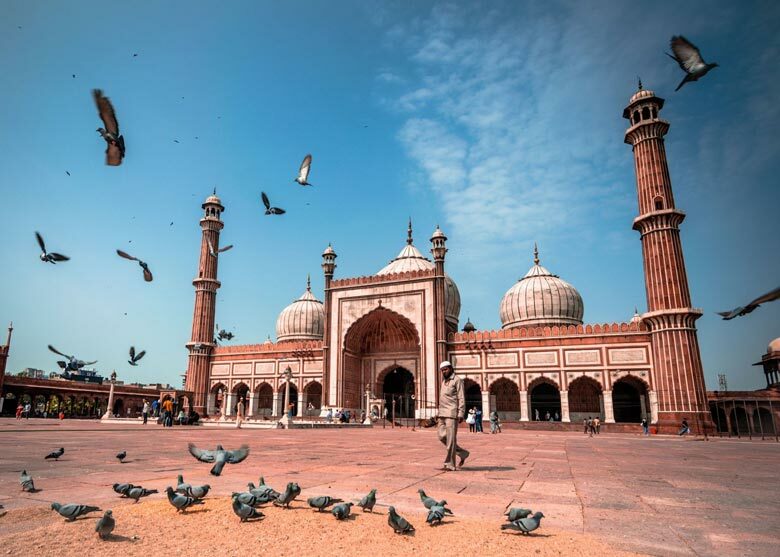 The Jama Masjid is the largest mosque in India, one of the largest of Islam and it cost one million rupees to build. It is at the heart of Muslim life in Old Delhi, the equivalent of the Nizamuddin village in South Delhi and a spiritual counterpoint to the Red Fort. Its striped minarets and three onion domes dominate Old Delhi and are worth the climb for a breathless panorama of the city. The vast open courtyard with a water tank in the middle for washing before prayer, accommodates up to 20,000 worshipers, though on most days prayers take place inside the main prayer hall to the west (facing Mecca). Note the striking black marble inlay in the decorations inside and on the domes. The vast sandstone steps leading up to the mosque from three sides are a social hub. Here worshipers read the Qur’an and gossiping men and vendors sell sweet meats and kebabs. You will need to remove your shoes and cover your legs and arms before entering the mosque. Opposite the south entrance is Karim’s restaurant, a compulsory detour in Old Delhi Tours. 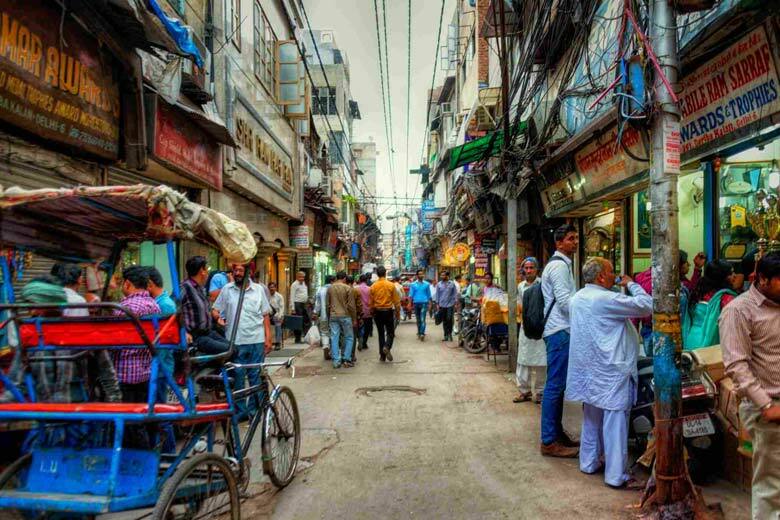 Chandni Chowk is must visit tourist places in Old Delhi, You can make your way to the main thoroughfare of Old Delhi either from the Red Fort, which is at its eastern end, or from the Jama Masjid through the labyrinthine side streets around Dariba Kalan. 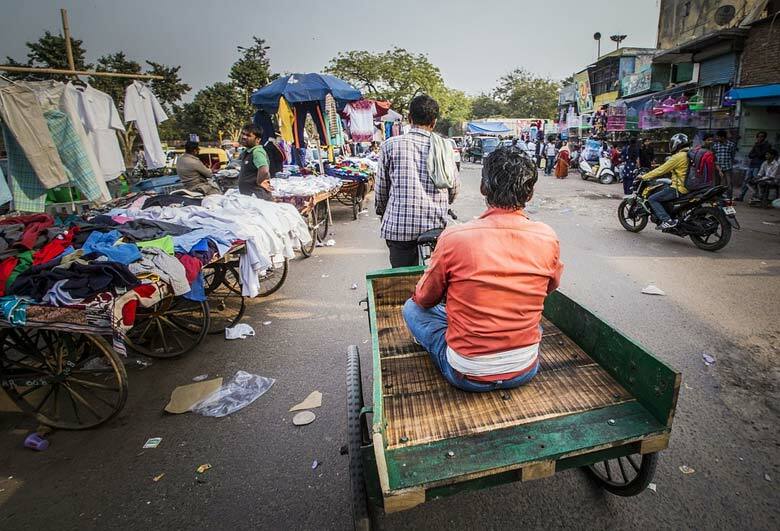 In either case, taking a cycle rickshaw is a more stress-free alternative to walking, which for the first-time visitor, can be overwhelming. Chandni Chowk (Moonlight Square) was constructed by Jahanara, Shah Jahan’s favorite daughter. Originally, there was an octagonal pool in front of the Lahori Gate of the Red Fort, into which a branch of the Stream of Paradise – a watering system in the palace-flowed creating a beautiful effect in the moonlight and giving the avenue its name. It was lined with trees and water channels among which the liveliest commerce in the East took place. If your starting point is the Red Fort, the first sight of interest, straight to your left, is the Jain Temple, which also doubles as a bird hospital. The temple dates from the 16th century and has some gilded ornamentation and carvings. In its courtyard is the bird hospital, housing sick birds in tune with the Jain principle of preserving all life. Regular patients here are partridges wounded in the partridge fights that are among Old Delhi-wallahs’ (residents) favorite pastimes. Further down Chandni Chowk is the large Gurdwara Sisganj, a Sikh temple dedicated to a guru beheaded by Emperor Aurangzeb. Here, he also displayed the beheaded corpse of his learned and liberal brother Dara Shukoh, favorite son of Shah Jahan. Just around the corner from the Gurdwara is Dariba Kalan the jewelers’ street, where you can find exceptional new and antique silverware at low prices. To the left is Kinari Bazaar, a glittering market lane selling wedding and festival apparel including saris, masks of Hindu deities and swords. Every object here shines with gold or silver tinsel. 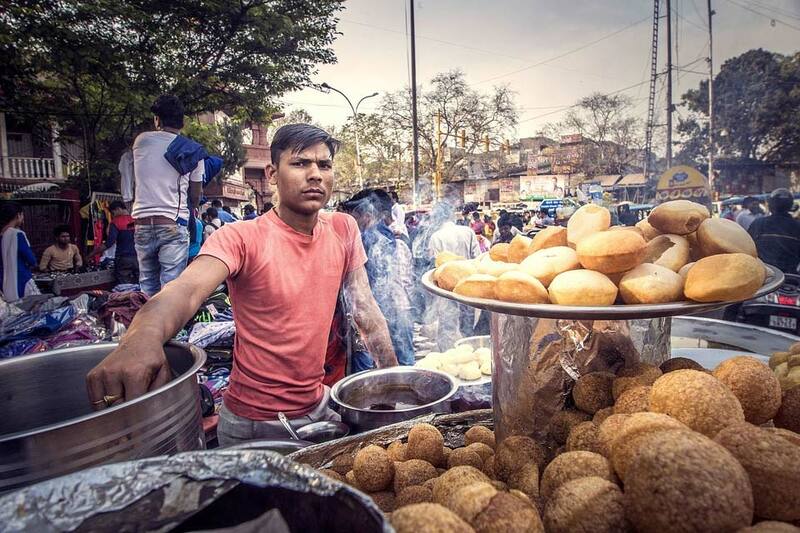 At the corner of Dariba Kalan and Chandni Chowk you can make a quick stop at the popular sweet shop of Naim Chand Jain, selling jalebi twirls (fried treacle tubes soaked in hot syrup), similar in sweetness to gulab jamun. Further down and across Chandni Chowk is the British-built Town Hall (1860s) behind which lies the peaceful Mahatma Gandhi Park, once built as the Queen’s Gardens and today a favorite haunt for sadhus (Hindu ascetics). Towards the west end of the avenue is Fatehpuri Mosque, financed by Begum Fatehpuri, one of Shah Jahan’s wives. Outside the mosque begin stalls selling nuts and dried fruit which gradually blend into spice stalls – a sign that the intense spice market or Sadar Bazaar is approaching. It is tucked away behind a gateway, so ask for directions. You will find every imaginable spice here, if you have the nerve to sneeze your way through the noisy throngs ! For more information on must visit tourist places in Old Delhi or Delhi Sightseeing Tour by Car, Call Swan Tours 011 23415601 – A leading Travel Agent in Delhi.